My last posting was about my first walk on Baildon Moor of 2018. I have been up there a couple of times since then and this is about my walk on Sunday 25 March. 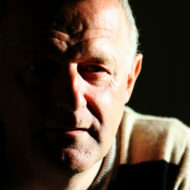 I will be posting some words and photos about my walk on Thursday but that will have to wait until I have sorted the photos. One of the things I enjoyed about my visit was being able to sit on the edge of the fairways and watch and listen to Skylark. It was great to see them lifting their crests as they ran about the grass picking up and eating insects every few paces. They only had to walk a few paces before finding another insect. Hearing them high in the sky singing away is one of the things I love about Spring and Summer. It’s a shame that I have to mention it but during the nesting season dogs should be on short leads. Plenty of people do and I saw one man with his dog on a lead running with it to get the stick he was throwing. Not like one young man with two small dogs, he had their leads in his back pocket and when he spotted some grouse in the heather he directed his dogs towards them. 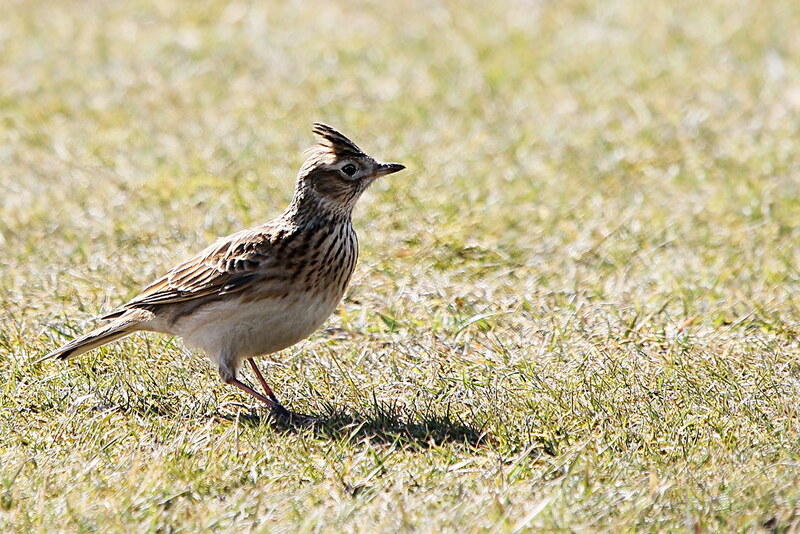 Another couple seemed to particularly target the greens with Skylark on them when throwing the ball for their dog. I was on the edge of the path looking towards the wall and the field beyond hoping to see the Pheasant I had heard, or to see Stoat in the wall. Something prompted me to take my camera off my monopod and I am pleased I did. 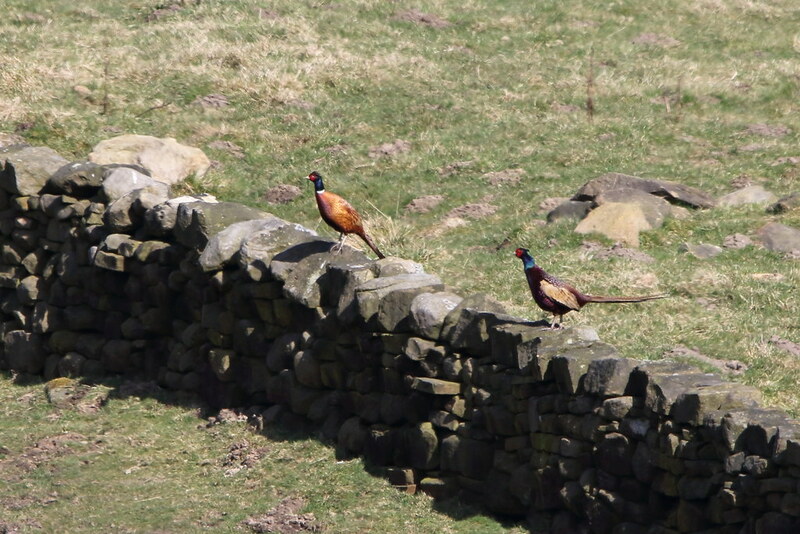 I did see a couple of Pheasant. The neck on the nearer of these two has just a lighter band of feathers, it is not a definite white band like on the other one. Also its body is much darker. I then had a rather uncomfortable encounter with a dog. A woman with 3 dogs came around the corner and up the incline. When one of the dogs saw me it ran at me barking, trailing its lead behind it and sounding very aggressive. As it got closer I got a firm hold of my monopod ready to protect myself. The dog finally took some notice of the woman and ran off round the corner. As she passed I told her that I didn’t like being frightened by dogs. No Comment. But when she got round the corner she did apologise to the couple with a baby in a back pack that the dog barked at. With my angry hat on what it seemed she meant was “Sorry that I have not been able to train my dog to behave and sorry that I am not taking any action to stop that bad behaviour or protect you from it.” What probably happened is that she was relaxed thinking she was on her own and the dog saw me, got away, and misbehaved for a few seconds. She was most likely hurrying off round the corner to get her dog instead of trying to mollify some strange man with a long stick in his hand. In that area of the moor are quite a few bell pits and some of them fill with water. The dry ones look as though the bracken and grass has been flattened with several narrow trampled paths leading to them. I assume this is done by deer. I hope it is not done by people; the water has drained away somehow which suggests to me that the “bell” is still open beneath. 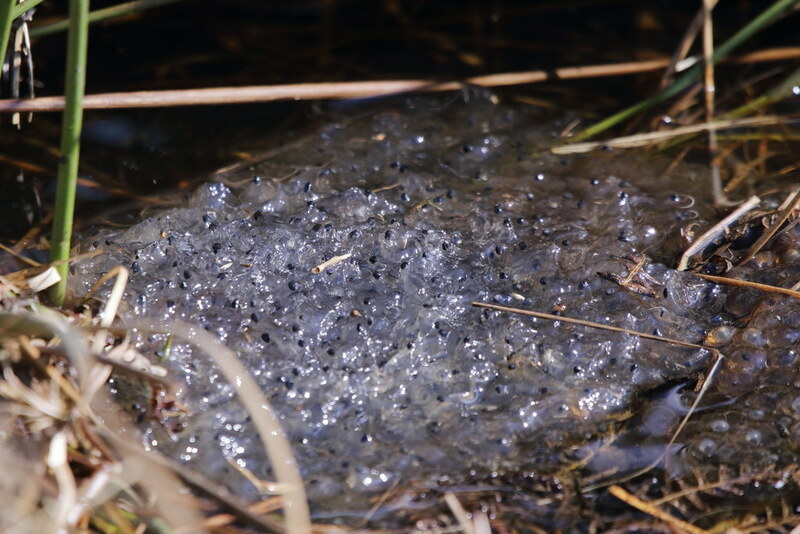 Quite a few of the water filled ones had masses of frog spawn in them. And I mean masses. This photo does not do the volume of it justice. 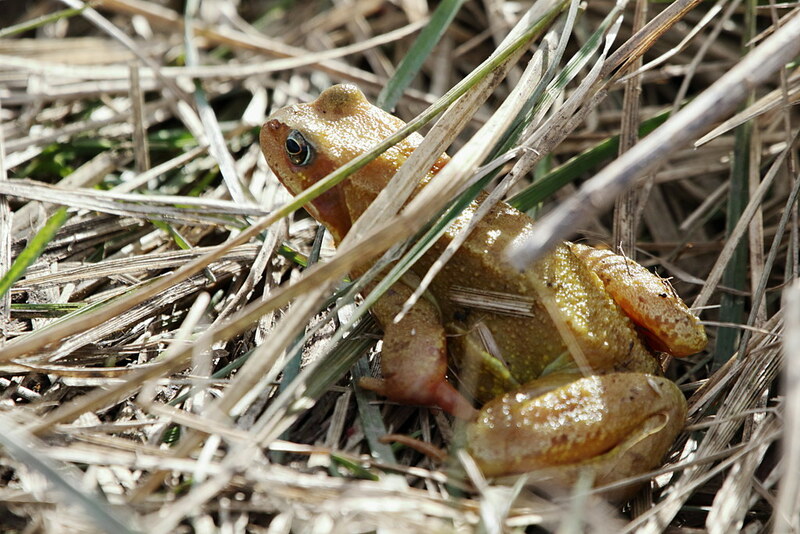 And I guess this is one of the frogs responsible. Heading back round towards Glovershaw I could still hear Curlew and Lapwing making their weird calls. Further North West I could also hear the chuck, chuck, chuck of a Snipe. 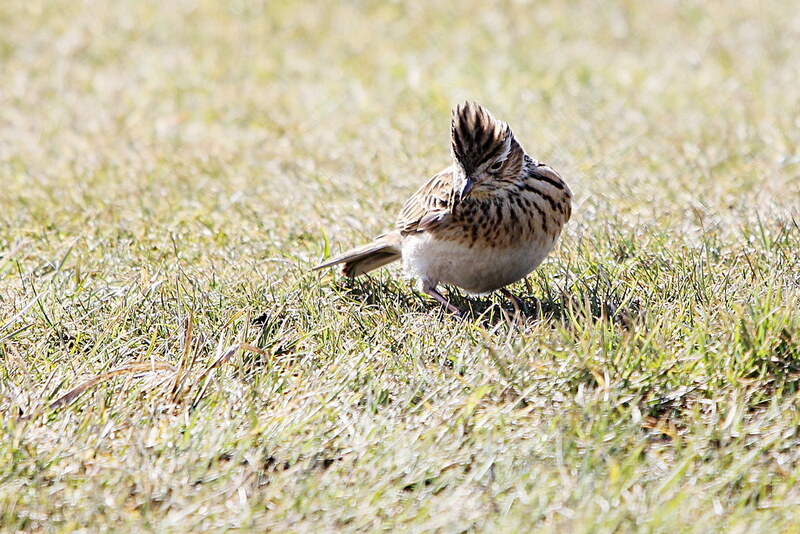 I hope to see and hear Snipe thrumming later in the Spring. 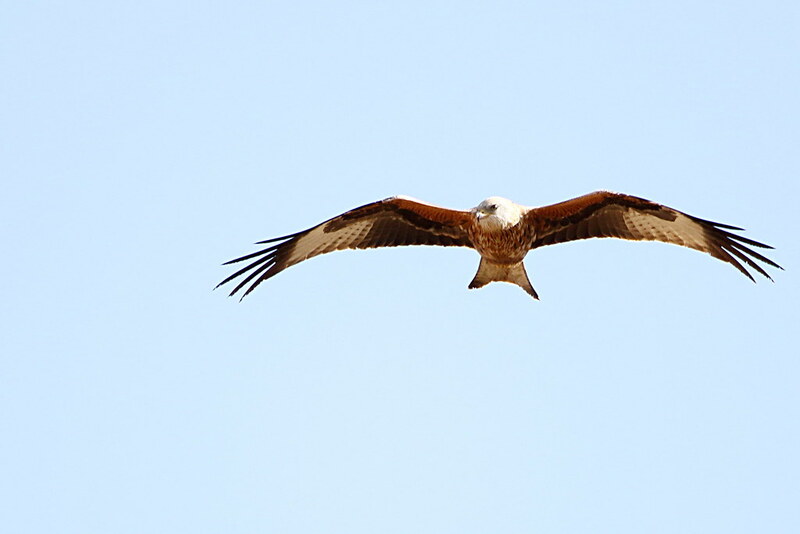 This Redkite is one of the reasons for the Lapwing making a noise. If they came low then dozens of Crows and Lapwing would take to the air to “dive bomb” it to send it on its way. 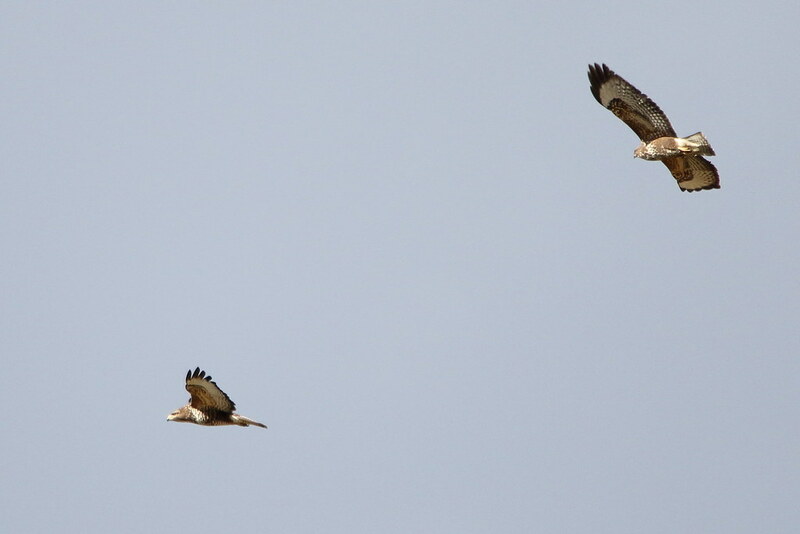 A pair of Buzzards also flew around for a few minutes but they tended to be higher up the slopes of the moor and didn’t seem to interfere with the Lapwing. The larger of these two is most likely the female. The size difference is often as much as 30% and very noticeable . 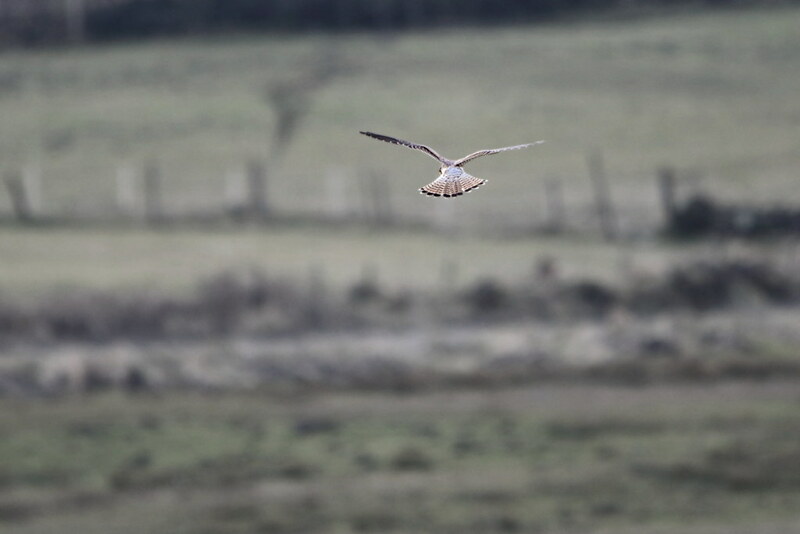 Kestrel were also hovering over one of the fields of longer grass. I saw it dive a few times. It usually pulled up before getting to the grass. On the times it did get to the grass I didn’t see it take off with anything. Further round the path I did find a Red Grouse with its head missing and a lot of chest feathers on the ground around it but that would be too big for a Kestrel. 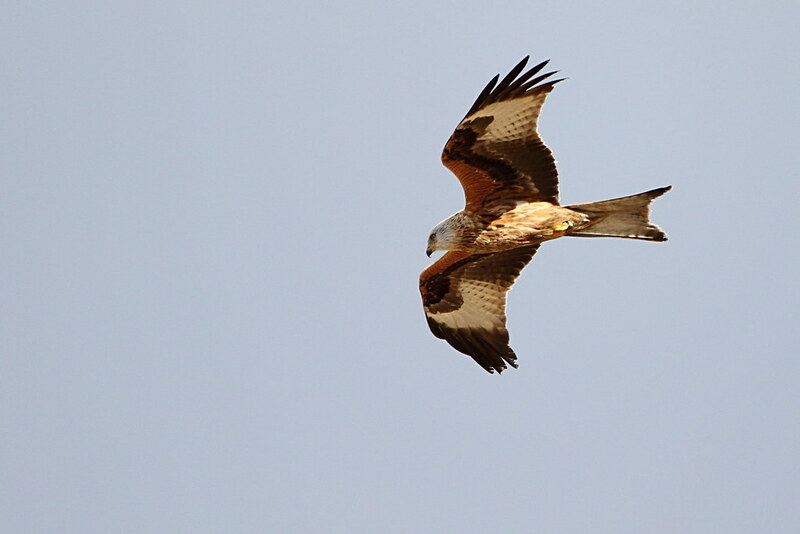 A Redkite hovered above the area for a couple of circuits but then flew off. 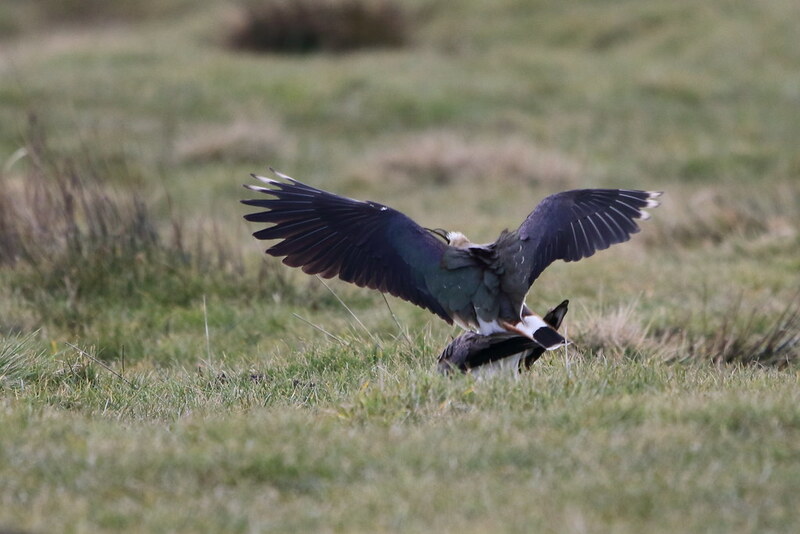 Obviously recovering quickly from a Redkite fly-by the Lapwing then got on with what they come onto the moors to do. This pair will hopefully lay and hatch a chick or two following their mating. 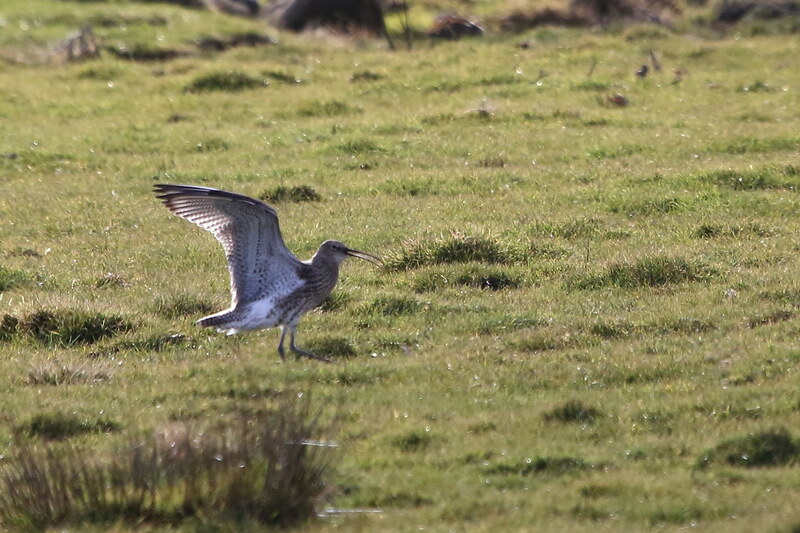 Most Curlew, when they came in to land, were just too far away and were difficult to spot, but this one was a little closer and I managed to get it in frame as it landed. 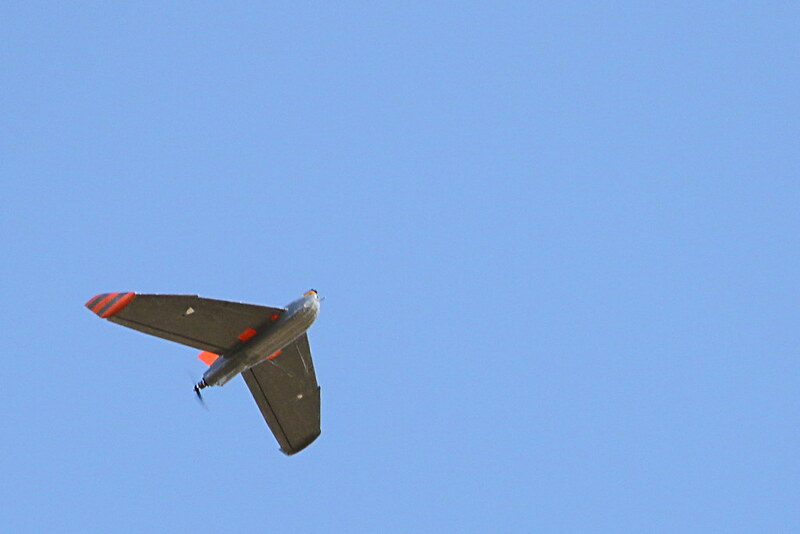 In my previous posting I started with a mention of someone flying a drone. This time I’ll finish with people flying powered planes. 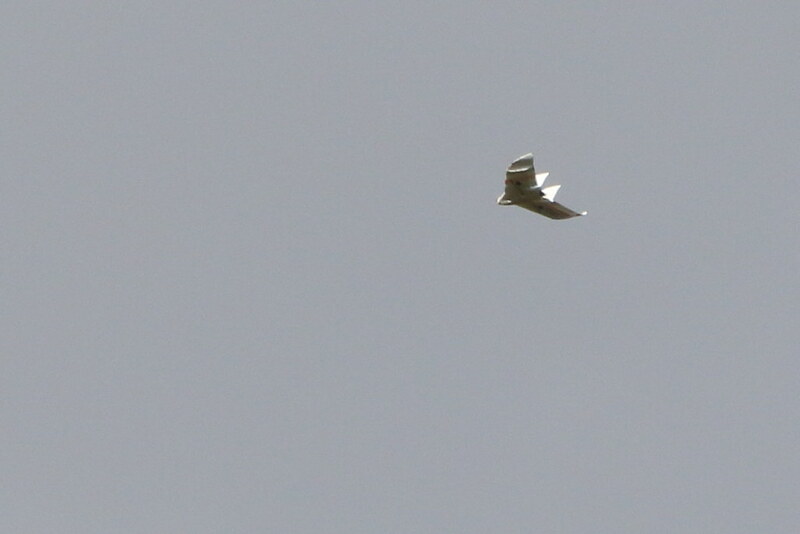 I assume they were being flown from the top of the moor but were buzzing over as far as the edge of Golcar Farm. 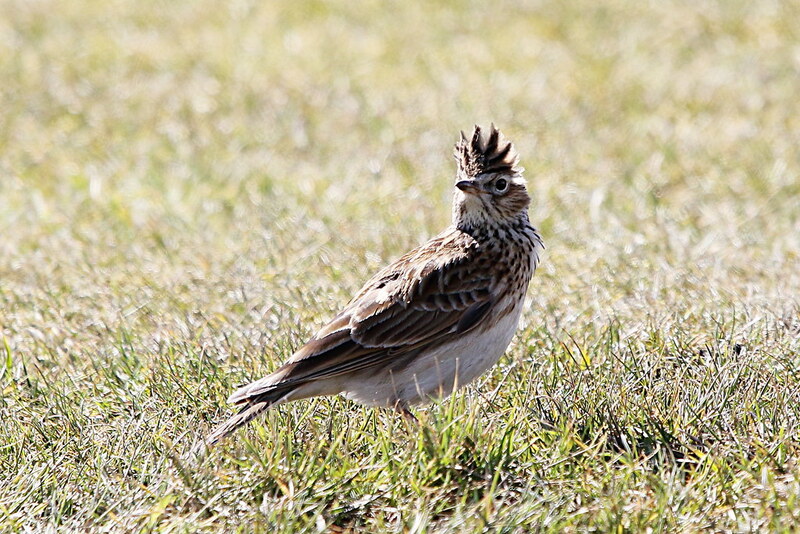 I’m not sure what the Lapwing would do if they felt threatened by them but the Skylark seemed to keep out of the sky when they were buzzing around, unless it was that I just couldn’t hear them over the whine. Powered flight is not allowed by the land owner, CBMDC, and given the two incidents mentioned in the booklet about the history of the golf club I can understand why not. You can read the words from the booklet here. As usual the photos are stored on flickr and you can see larger copies there. 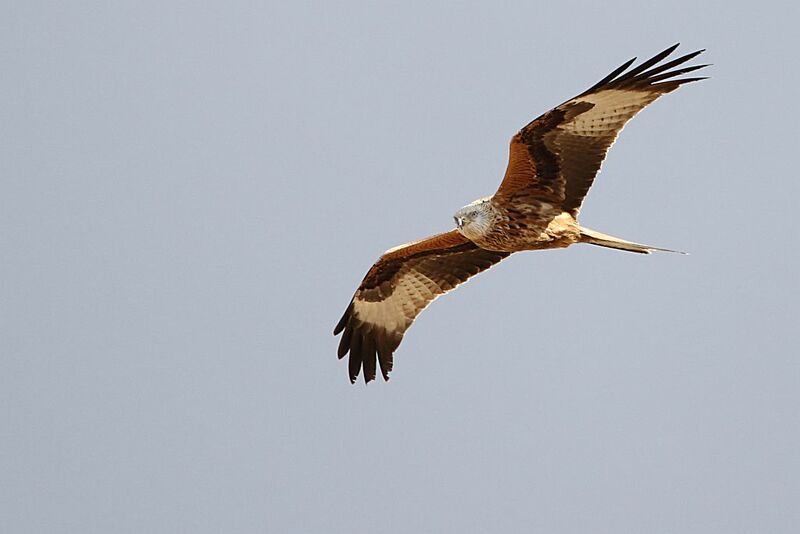 There are also several other photos of the Redkite, Kestrels and Buzzards in the same album here. 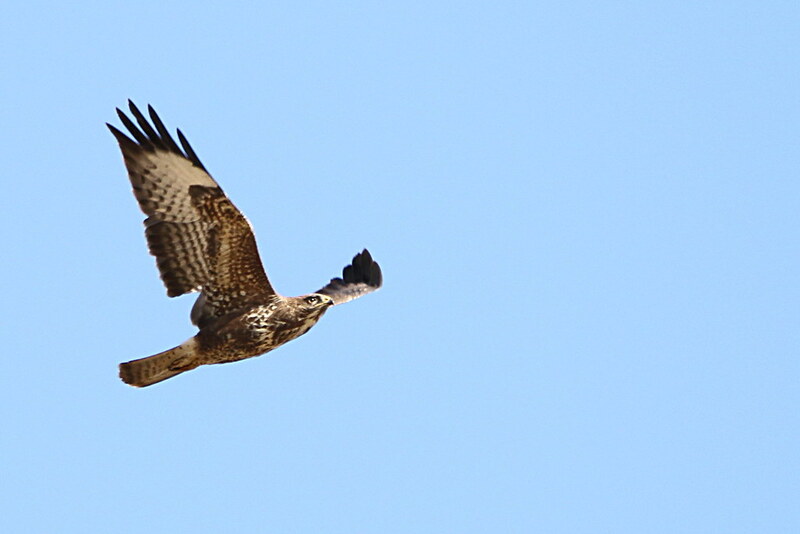 Admittedly I have put most of the album photos in this posting but here is a Buzzard to tempt you to go have a look.